Sometimes it’s hard to remember that Chevy Chase once tried to make people laugh without getting into racially charged fights on the set of Community. And sometimes, as with Chase’s 1980 “musical comedy” album that is neither musical nor comedy, parts of that illustrious history might be best forgotten. 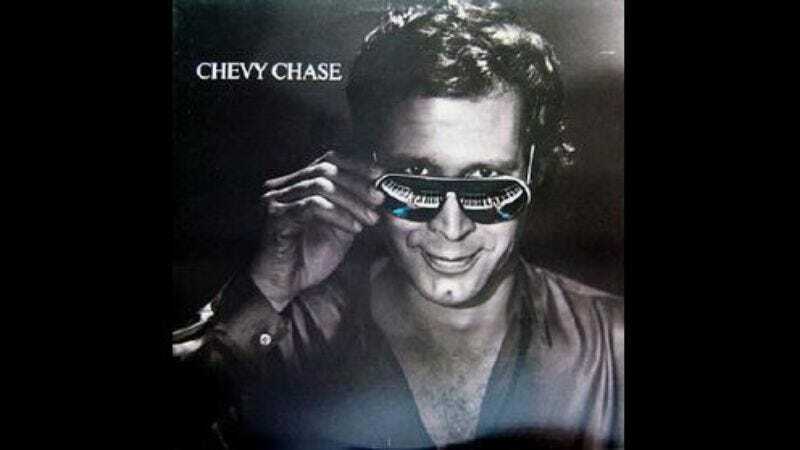 The album, appropriately titled Chevy Chase, features Randy Newman parodies, lots of drug references, and a cover with a grinning Chase displaying his chest hair. While it's true that the beauty of Chevy Chase made the Internet rounds a few months back, isn’t it always a good time to relive a near-incomprehensible, drunk-sounding Chevy Chase singing the national anthem and trying to cover Bob Marley?